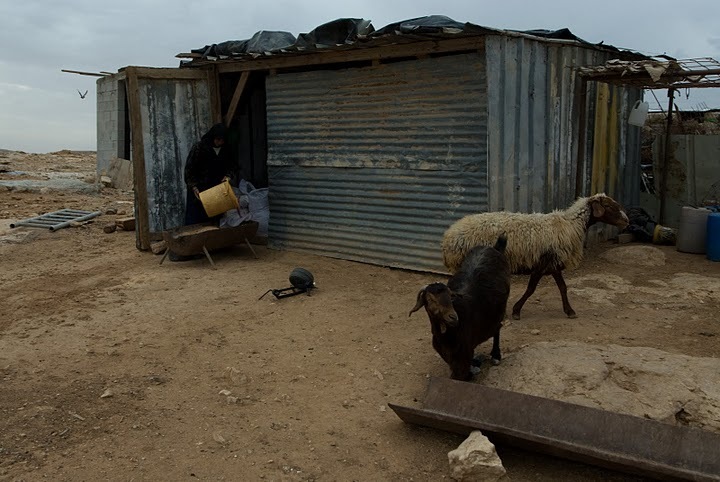 In October 31st, 2008 Israeli forces demolished a number of residential sheds in the community due to its closeness to the settlement. 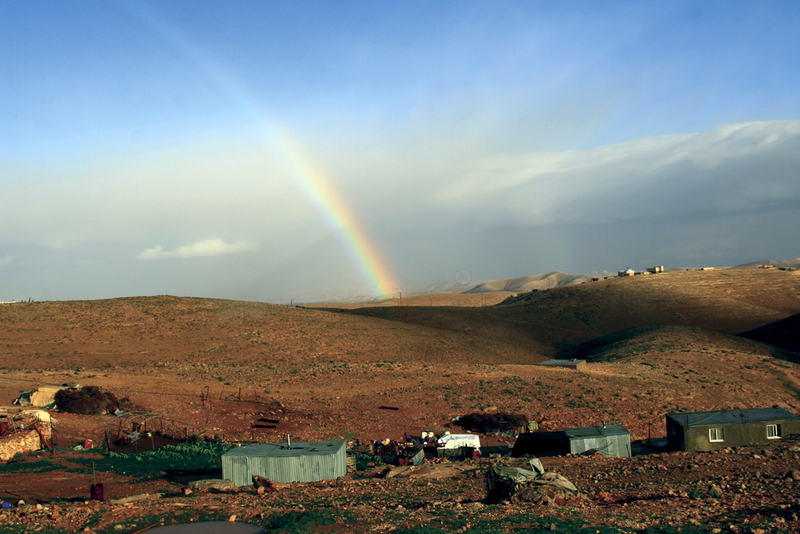 After the demolition, Israeli bulldozers began the expansion of the settlement on the expense of the community. 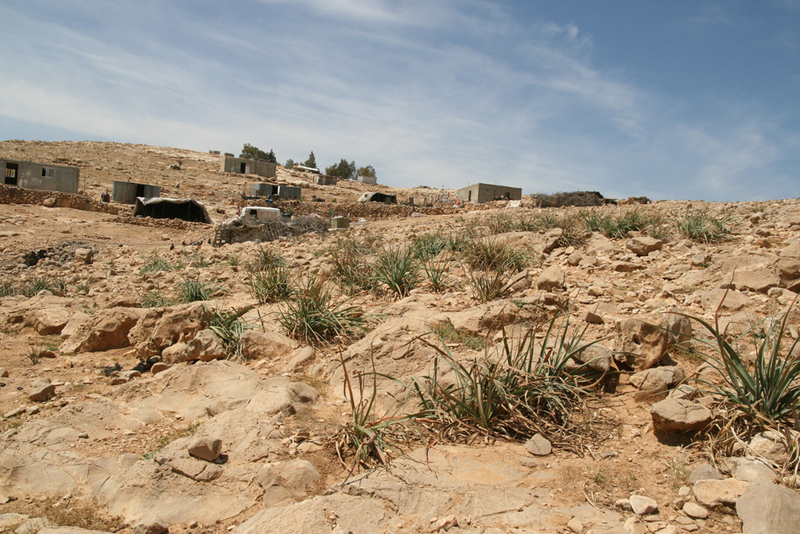 Palestinians have tried to stop the expansion, yet to no avail. It’s been very frustrating seeing the bulldozers eating up the community lands while lawyers, national and international organizations stood helpless and trying to only document the violation. 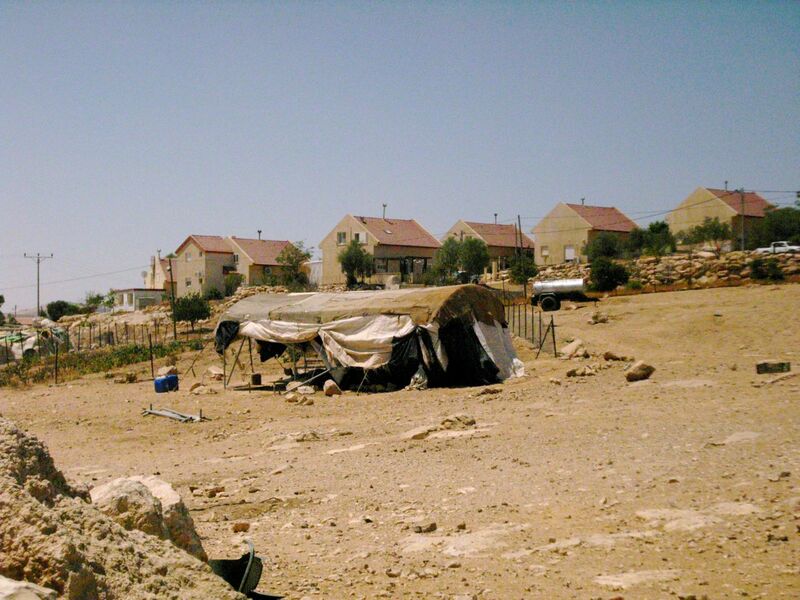 No steps were taken (or could have been taken) to stop the Israeli bulldozers (working the protection of the Army) from devouring the land. 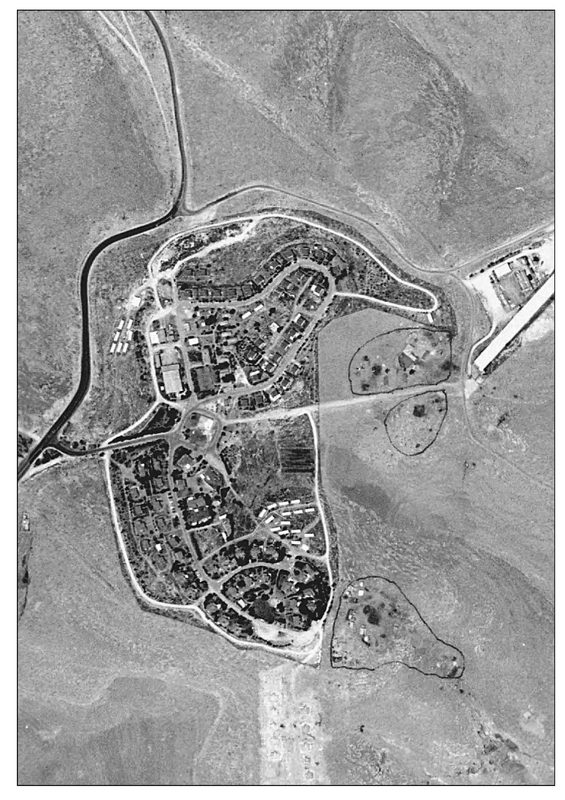 This air photo of Karmel and Umm Al Khair is 5-6 years old and doesn’t show the new neighbourhood that has since been built in Karmel. Inch Allah msafre 3ala Um Al Kher. Take care, and greeting for your lovely family! 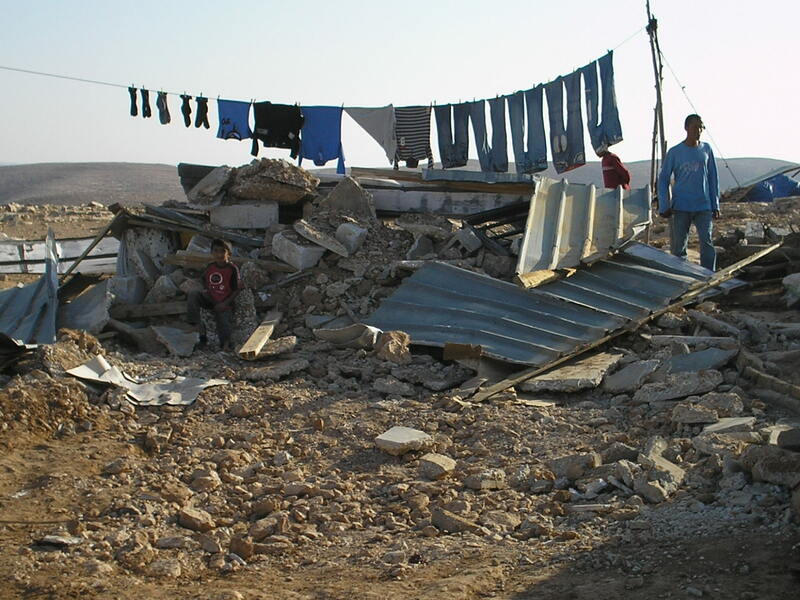 It breaks my heart that your village has been once again subjected to demolition. I saw the photos and wept. Your message of peace and creativity is so urgent, yet is drowned out by the tears and the wailing, and the grinding of machinery and the barking of soldiers. I will shout for you in Canada. I will call for justice and restoration. I hold you, your family and your people in my heart and in prayer. respect and blessing to you and your beautiful family Eid.